Chocolate & Zucchini :: View topic - Nice! Posted: Wed Jul 09, 2008 9:30 am Post subject: Nice! Oh, all the travelling and eating we have done already here, all of us together!! Let me bring up my next destination, open to all suggestions...(lunch, dinner, what to eat, where to shop, local specialities, must-see places...). I'll be spening a long weekend in Nice, the end of september, with my NB, and looking forward to it!! I have just started my little 'Nice-file', I usually make my own travel guide (full of eating-and-pastry-shopping tips ) with some 'cut-and-paste', so let's see what you guys can come up with. never been in the south of France before! from Erin a few days ago! I've read about Socca on David Lebovitz' blog, can't wait to try it!! and I think Fanny from Foodbeam mentioned a good patisserie in Nice....I'm still open for more suggestions!! Well, as we say here - one does not argue about taste and smells. Anyhow, the place Madame mentions in the old market in Cours Saleya (morning market) is called Theresa, she's awfully touristic, and the Socca.. I wouldn't waste the small amount of calories I'm allowed per day for that, but obviously there are people who love it or maybe I didn't have the good fortune to find a good socca. Also , beware of the awful restaurants which spread out in the evening in the same place where the wonderful morning market is in the... morning. I wish you a wonderful stay in Nice and good luck with the weather! No more war, more socca?! P.S. 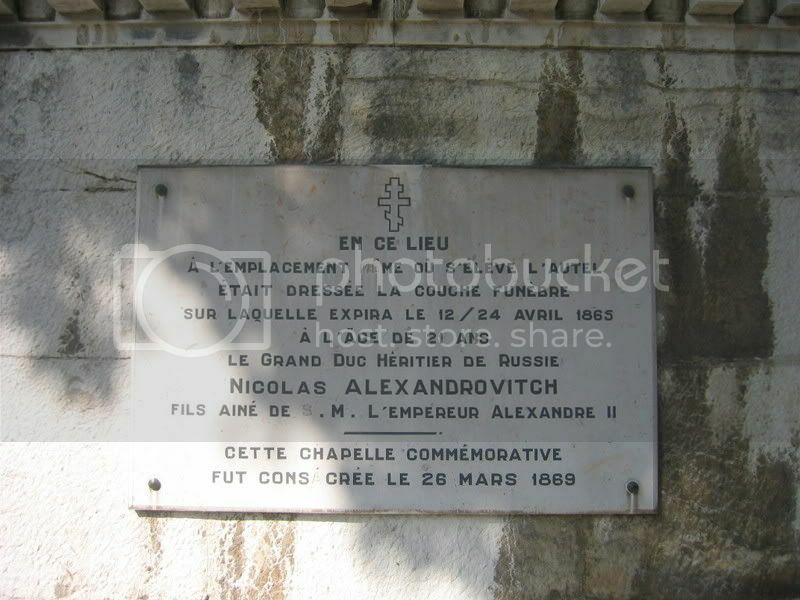 If you have the time and a car, I would recommend an afternoon tour to the Ephrussi de Rotchild Foundation in Cap- Ferrat - a gem not to be missed. Simona! How very nice to see a plain-spoken Simona post from you once again. Just today I linked a new poster (Australian Comet) to an old C&Z breakfast thread--thinking to myself "Simona's Israeli breakfast is the highlight--I should point that out." And boom (bad choice of word?) here you are! I have wanted to make socca since I read about it on Erin's "...Endive Chronicles" blog--I was impressed that her husband liked it a lot, hoping my Rich will learn to like cool stuff too . But I keep forgetting to buy chickpea flour when at the appropriate store. And now you strongly imply it's not such a treat after all-- well I'll decide for myself, Simona style. Again--great to see you again. Hi GP and friends, I do lurk but I have a lot on my mind lately ( husband's serious health problems) so I rarely write. And Thank you in the name of the really unique Israeli breakfast . The problem is you have to come and visit us so as to have access to this kind of breakfast. I'll be happy to host any of our C&Z friends! As for Socca, indeed I fail to appreciate its charms, but it's only me. I'll be happy if you'll share with us yours and Rich's impressions after you'll taste it. There are some good restaurants in Nice I'm sure, dear Swan , you'll find them. As for the town itself- I like the old harbour , and of course if you have time the Matisse and Chagall Museums are OK. The Cimiez monastery and Gardens are beautiful- especially the view from there. But for me , Nice is essencially the promenade des Anglais ( when in Nice , do what the English did ), if possible wearing white bermudas and a blue and white stripped brand-name t-shirt!, , a drink on the terrace of the Negresco ( do enter to see at least the lobby) - very expensive - but what the ... we don't live forever, and a morning stroll in the old town morning market - nice flowers and nice but very expensive fruit ( it's touristic, don't forget, especially in the summer). Of course, if you have time -- Eze, even Monaco . Friday there is the market in Vintimiglia- mainly clothes and well done fake Hermes bags( a nice Birkin for 100Euros!!) and other brands. In the other direction you have Antibes and inland , St. Paul de Vence - both overcrowded in August, but still worth the journey. No more war, even socca is better!! Dear ladies, good to hear from you, both with the tourist info as in 'good to see you'. I'll be in Nice a good 4, 5 days around sep 20 so will have time for a few things surrounding Nice. I am adding your advices to my list, thank you!!! September is glorious! wondeful weather and fewer tourists. You might actually be able to walk in the streets and see something! 5 days is better too, yu'll have time to visit the beautiful surroundings - maybe Cannes . Two hours take you - via the beautiful cote- to St. Tropez, which actually is charming despite its reputation. I'll try to think about other spots you might enjoy! Swan, sorry I missed this thread first time round - I have a few recommendations, edible and otherwise. Edible - several mentions of socca already, but the other local speciality not to miss is pissaladiere. I can't recommend a specific place to get it, but any boulangerie worth its salt will have it. 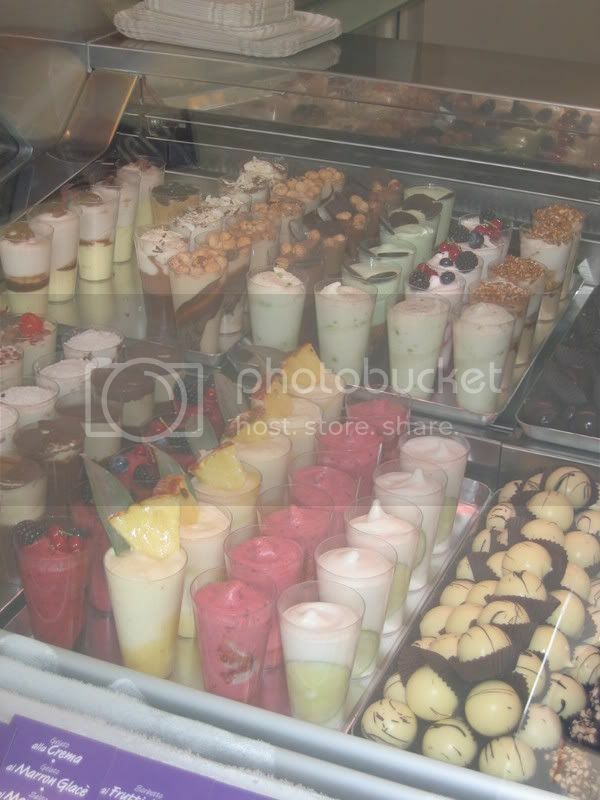 And when you get tired of these two treats, visit Fenocchio, a fabulous ice cream shop in the old town. I had fig and rose when I was there and it was memorable, to say the least. Non-edible - Simona has already mentioned the Matisse museum, which is lovely, but if you have a chance, take a daytrip to Vence to see the chapel he designed late in life (he designed everything, even the priestly vestments). St Paul de Vence down the road has the Fondation Maeght which has an incredible sculpture garden. You can do both in a day even if you don't have a car (I would spend more time in Vence than St Paul de Vence if you do this, it seems slightly less touristy). Simona, nice to see you again - and best wishes to your husband. 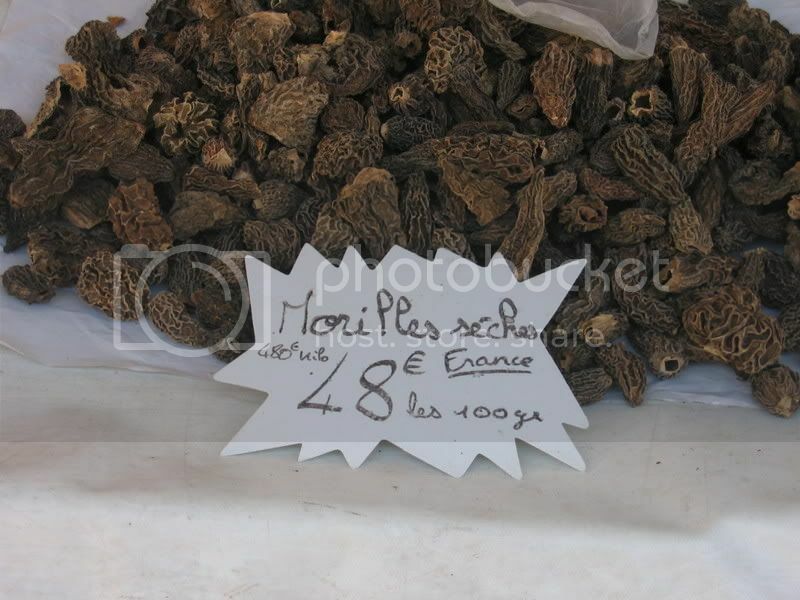 Such a lovely picture of morels! They're horribly expensive here and I don't buy them very often. I loved Nice; if you're on the hunt for olive oil try Alizari, it's at the edge of the Vieux Nice market area, not far from the little Molinard perfume shop and musuem. I love wandering...here and there..again from Nice.. Thank you for that Madame, I'm sure I'll have dreams of Nicoise ice cream tonight... I also didn't know about the Russian Orthodox church - something to look out for next time I'm there (if I can bear to tear myself away from Fenocchio, that is).